Aside from the fact that playing puzzle games can be quite fun and exciting, this type of game can offer you even more of that. Playing puzzle games can help you keep your mind sharp, exercising your brain with each puzzle you solve, pushing you to think harder and strategically to solve them. But among so many puzzle games offered to us, choosing the best one can be quite hard. To help, we looked and have the right puzzle game for all puzzlers. Let’s see what the game is about. What is Puzzle Game Extreme all about? The Puzzle Game Extreme is developed for Android users and created especially as one simple, fun and yet highly challenging block puzzle game where the player needs to think hard and strategically to put the blocks in the lines to fill them. Suitable for all ages and easy for playing, offering players cool sound effects and HD graphics to enjoy, the blocking game offers its players to enjoy puzzling and in the same time sharpen their mind and exercise their brain with each puzzle they solve. 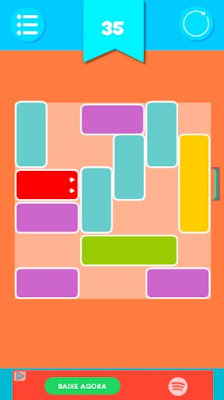 This block puzzle game and the features offered on it are keeping the player’s attention each time he plays and gets him addicted to puzzling on his first try. One task is given to the players and that is to put the pieces in the board to fill the lines, horizontally and vertically and once the player fills the line completely that line will disappear and more free space will appear so the player can continue putting new pieces to fill it. When the player has no more space to fill and the blocks stay listed below the board, the game will be over for him. Whether the player likes to challenge himself or just to have fun puzzling he can choose between levels such as easy, medium, hard, advanced and expert level. When the level is completed the player can progress to next even more challenging one and with the game’s rating system he has the chance to challenge his colleagues, circles, and friends. Playing is available anytime and anywhere the user likes to, the player will enjoy puzzling and testing his puzzle skills. Download it for free on Google Play to put the pieces on the board and fill the lines to solve the puzzle!